2. I love STEAM based learning. 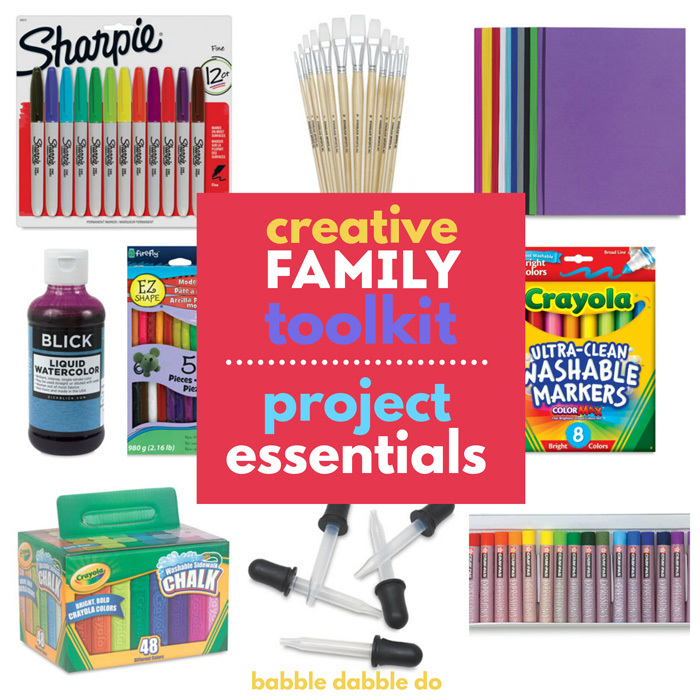 I truly believe in the power of a project based, creative thinking, hands-on style of learning. This idea is at the core of all university level design schools and I’m happy to see it start trickling down to lower grades, even elementary school. And because play is the quickest way to engage young imaginations I feel strongly that smart toys will encourage the littlest designers out there to invent, create, and dream. With that in mind, I put together a gift guide of STEAM toys I think every family should own. We own or have played with all of these toys and I can wholeheartedly recommend each and every one. 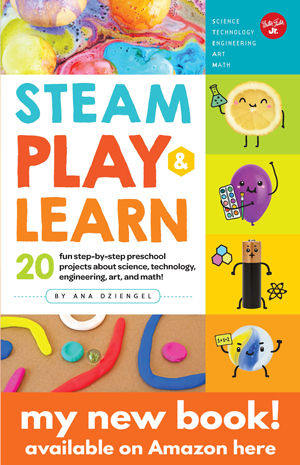 So if you are looking to introduce STEAM based ideas through play, these toys are all the prefect fit. And yes, I DID make a TOY Mandala using some of these bad boys! This post contains affiliate links to products I love and recommend to my readers. Please note that prices are subject to change on Amazon. ALEX Modeling Clay Age range 3+ Clay is the best toy for starting to think in three dimensions. Alex clay is a great stater clay because it’s colorful and oh so easy to smush! Jenga Classic Game Age range: 8+ Jenga is not only an immensely fun game for the whole family but a great way to learn about structures and balance. Classic Tangoes Age Range 5+ Tangoes are a form of tangrams, a classic Chinese puzzle that explores how smaller shapes can be combined to form larger images. Kaleidograph ® Age range 5+ I love this toy! Not only is it beautiful but the possibilities for making shapes and designs are endless. It’s kind of like a large paper cut kaleidoscope! K’NEX Building Set Age range 7+ An engineering friend of mine says K’Nex is the one toy he believes all children should play with. Think of it as Lego meets an Erector set! Blokus Game Age range 5+ This game is both fun and pretty but most of all it teaches kids about shapes and strategy. Even preschool aged children will find fun in simply creating different shapes out of it. The Original Spirograph Age range 8+ Math meets art! Spirograph has been a popular toy since it debuted in 1965 and for good reason, it makes creating complex shapes incredibly easy. Wedgits All Ages including infants! Wedgits are a great beginning building toy for all ages. They are soft and easy to stack and safe for even babies to chew on. Snap Circuits, Jr. Kit Ages 7+ This toy makes electronics fun! We have experimented with a lot of the projects in the accompanying book but our favorite is the Flying Saucer project, hands down. Architecto Game Ages: 7+ We received this as a gift several years ago and we break it out often. It’s kind of like 3 dimensional tangrams. You have to create a complex shape using the smaller blocks. I love it as both a puzzle and building toy. NOTE: The blocks are fairly small! Foxminds, the manufacturer, also has another variation of the game called Equilibrio Game where you have to solve balance based puzzles! LEGO Creator 3 in 1 Series Age range 7+ Lego is probably the world’s most famous building toy. If you haven’t invested in Lego before you may not know where to begin. 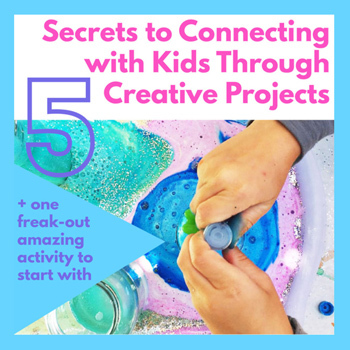 I love the Creator 3 in 1 Series because it encourages kids to build and then dismantle their creations to make something new. I love the emphasis on using the same kit of parts to make 3 different projects. Wood Marble Run Ages 5+ We LOVE this toy! Let me say it again : WE LOVE THIS TOY!!!!! Marble runs are a great way to explore engineering principles with kids and this set is so easy to work with. It also smells like heaven since it’s made from quality wood. Magna-Tiles® Ages 3+ Everyone should own set of Magnatiles. It has seen constant use in or house for over 5 years and appeals to both my 2 year old and my 8 year old. Magnatiles are easy to build with, colorful, and the translucent set is great on light tables too! We have both the translucent and solid sets. Wood Blocks I suggest every family have a set of high quality wood blocks in their home. This set of 60 Unit block from Melissa and Doug sees constant use in our house by both my two and six years olds. Fort Magic BUILDING & CONSTRUCTION TOY KIT Ages 5+ Kids get to build LIFE SIZE structures! How amazing is that? This toy is absolutely worth the investment. I wrote about how much we love it in this post. This is one of my favorite toys to break out when we have parties and playdates because thee kids can have the opportunity to build together and I haven’t found a kid yet who can resist the giant scale of this toy. This would also make an amazing addition to an elementary classroom, I can see kids building structures together in teams. Got some ideas now? The most important thing I look for when selecting STEAM based toys are their ability for open-ended and interpretive play. 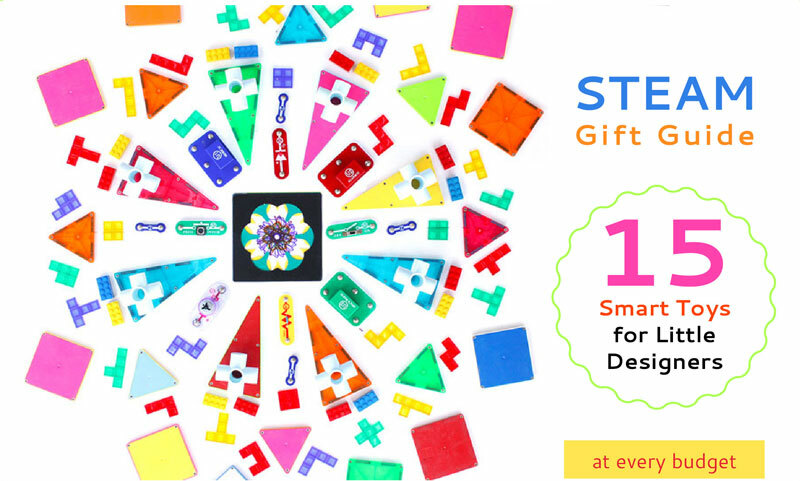 The best design toys give kids the chance to explore a variety of solutions or even invent their own! Hopefully some of them will encourage the next generation of designers and thinkers! 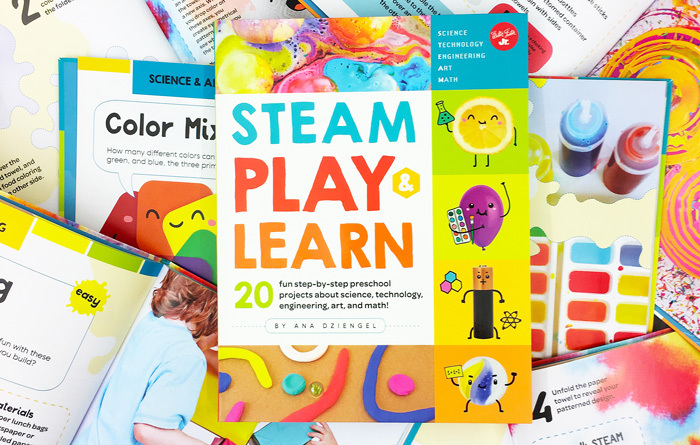 And after the kids are done playing with toys…try some awesome STEAM projects at home! 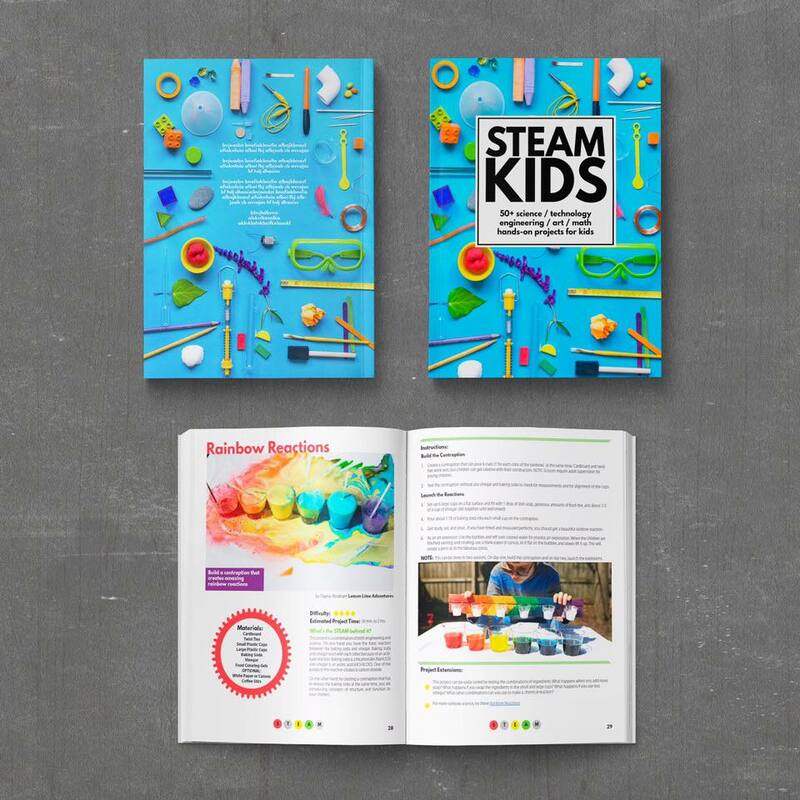 A year’s worth of captivating STEAM activities that will woo the boredom out of kids! Man this is gorgeous Ana. I love all the suggestions. We have the marble run. 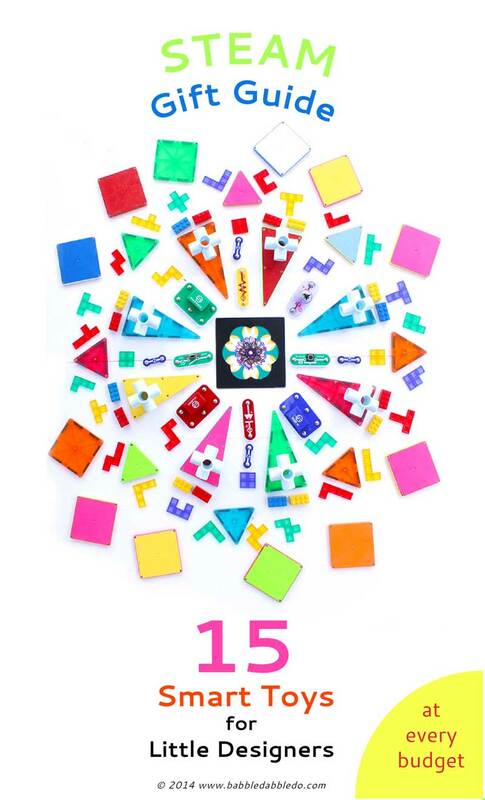 We want more magna tiles…duh and I would love that old school spirograph! Thanks for all these great suggestions. Such a great post! What a great post, Ana! PLUS, I have to tell you how much I love our new logo and background. Well, done, Ana! It looks fantastic! You know the Architecto and Equilibro games? And there’s a third one in the series, too, whose name I forget. But all three use the same blocks. So once you’ve bought one of them, you only need to buy the puzzle books, rather than the whole game, for the others. It’s cheaper that way, unless you want multiple kids to be able to play the two games simultaneously. I have so many of these that I love, too! 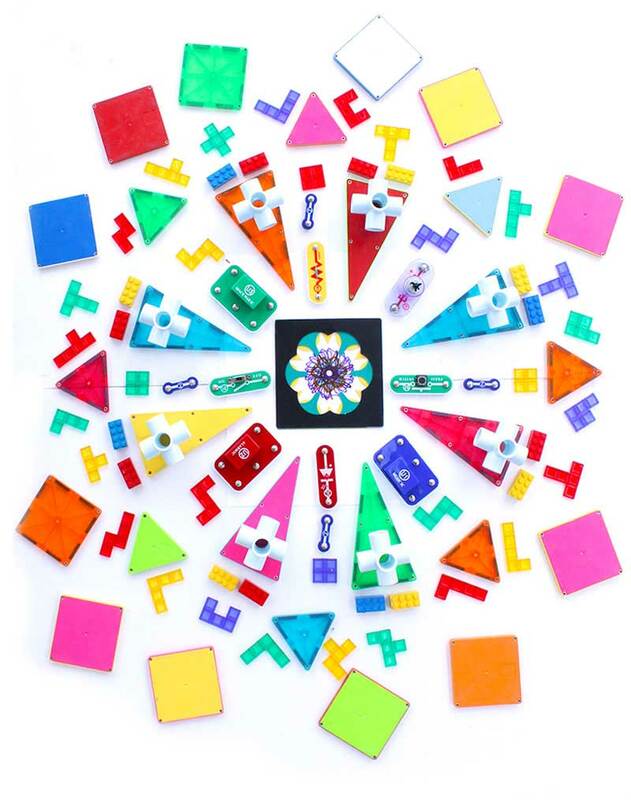 Have you tried tegu blocks? Also, I prefer little bits to the snap circuits, so please look into them if you don’t know what they are! There’s also something you may be interested in to expand magnatile play, it’s a Picasso tile (some generic brand) car/truck thing that allows for creating cars, cities on wheels, etc. Thanks for all these awesome idea! I just heard about Little Bits and I can’t wait to try them! Will definitely check out the other toys you mentioned too!